Booking Vintage bathroom photo sessions at Jess W Photography Retro Photo studio in Hamilton Ohio. 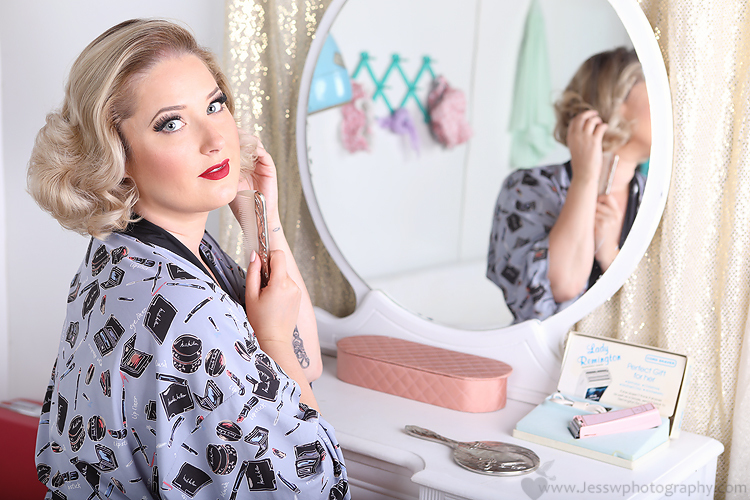 Professional Hair and makeup is included in all pinup and retro photo sessions. Email Jesswphotography@gmail.com for more info and booking! Limited spots available, one day ONLY, first come first serve. Payment due in full via paypal upon booking. Email Jesswphotography@gmail.com for more info and booking. Booking Retro Garage photo sessions at Jess W Photography Retro Photo studio in Hamilton Ohio. Come by yourself, with a pal, your spouse, or your little one(s). Booking Retro Kitchen photo sessions for the months of July and August . This is your LAST chance to book in the Blue Retro Kitchen set with Jess W Photography here in Ohio. We will be painting all the blue kitchen pieces and changing the kitchen look in the fall. Limited spots are available, book quickly before spots fill! Come by yourself, with a pal, your spouse, or your little one(s). Booking Spring Photo sessions in Cincinnati Ohio and surrounding areas. Pinup, Glam, or your own classic style. Email Jesswphotography@gmail.com for more info and booking. All Sessions include professional hair and makeup. © 2019 JessWphotography|ProPhoto Blogsite by NetRivet, Inc.